EasierThan Business Software are based in Thornton Cleveleys on the Fylde Coast, Lancashire in the North West of England. 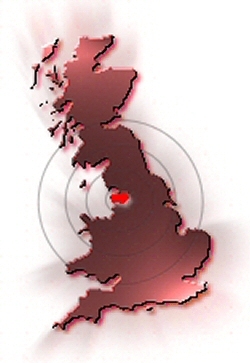 We are well placed to offer Business Software services to Blackpool, Preston, Lancaster and surrounding areas, including: Blackburn, Carnforth, Cleveleys, Chorley, Carleton, Fleetwood, Freckleton, Fulwood, Garstang, Great Eccleston, Hambleton, Heysham, Kirkham, Knott End, Lytham, Longridge, Leyland, Lytham, Morecambe, Poulton-le-Fylde, Pilling, Preesall, St Annes, Thornton, Wesham and Warton. For the right sized project, EasierThan Business Software can provide services nationwide and even worldwide! After inititial meetings, communication, specifications, contracts, invoicing and even payment can be done via the web. So whether you're near or far, contact us for a quote.